While walking through a classroom I noticed children playing a game with dice and pompoms. I loved that the kids were practicing lots of one-to-one counting as well as writing numerals and using their pincer grasp. This non-competitive game provided lots of learning opportunities while reinforcing concepts surrounding the fall season. I thought I’d share some additional fun ways to use dice with young children. Oriental Trading offers these larger foam dice. 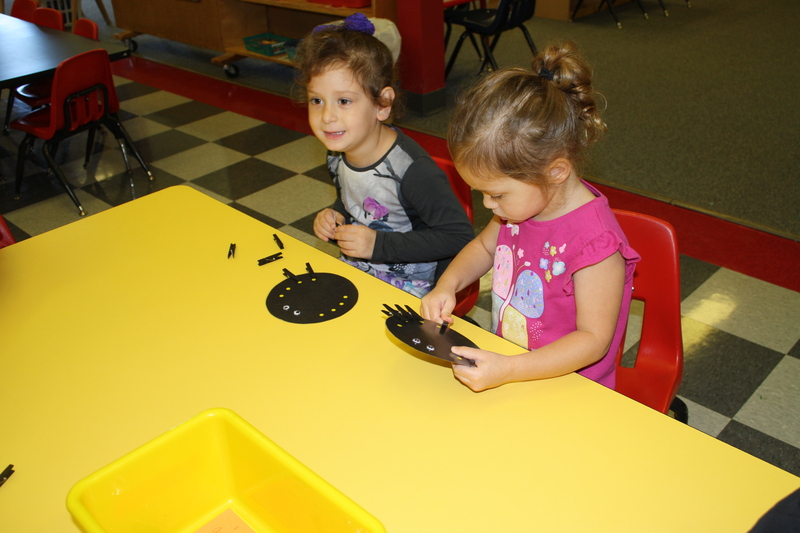 The larger size allows children to touch and count the dots with greater ease. At Stir the Wonder blog there is information about this very toddler appropriate first experience with dice. 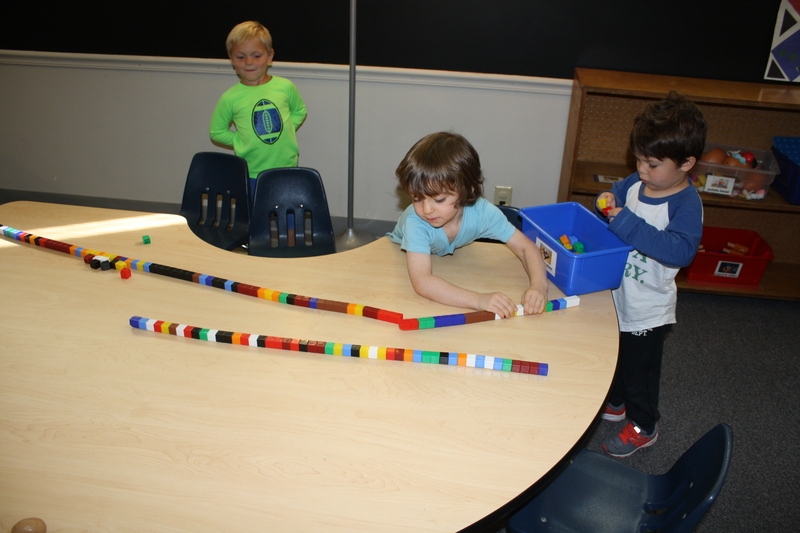 I love that the children are physically manipulating the blocks as you count the number you are adding. How tall can you build? This could be played with any kind of stacking blocks as well. You can also extend this idea to more physical activities. Jump, clap or hop the number the die shows. Run as long as it takes for someone to count to the number on the die. Drop pompoms or balls into a basket or through a paper towel tube to correspond with the number on the die, etc. The Measured Mom blog offers this game page free. Matching the die face to the printed one is a good introduction. You can count the dots as you are looking for matches. 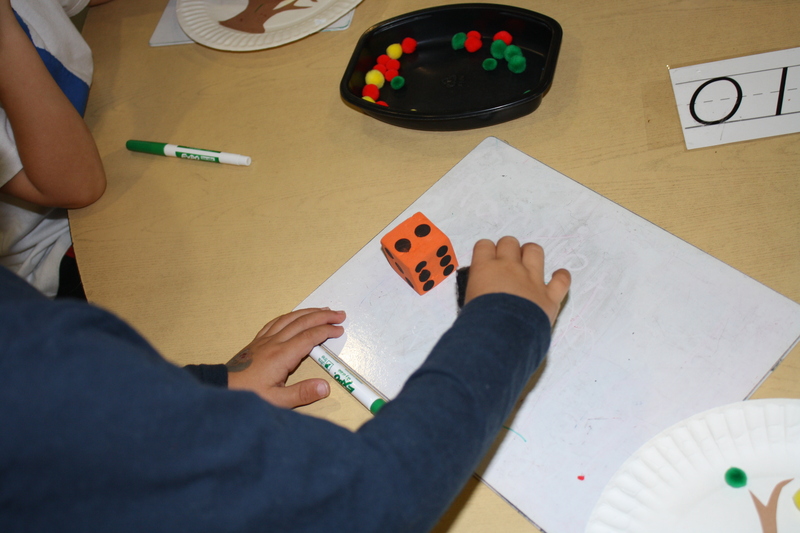 One Perfect Day blog has an in-depth post that includes a variety of ways to practice a variety of math concepts using dice along with loose parts (small items like stones, pompoms, beads, etc). I love the idea of children actually moving items to represent the same “picture” they see on the die. Inspiration Made Simple blog has this fun game connecting dice to the parts of a robot. There is a free download included in the post. These ideas should provide many hours of good number fun. Keep on rolling! It was just a short couple of minutes. It was affirming to see so many children busy with activities in that short time. Children were busy playing AND learning. This is more than just playing with stickers. This is language as the teacher and child named the items on the stickers, talked about the colors, etc. This is fine motor coordination and growth. 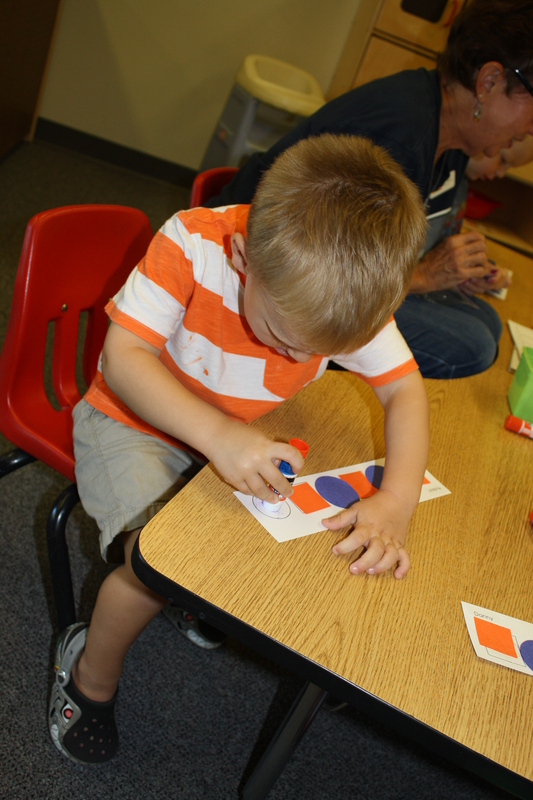 This is emergent literacy as they used and named letters on the stickers. 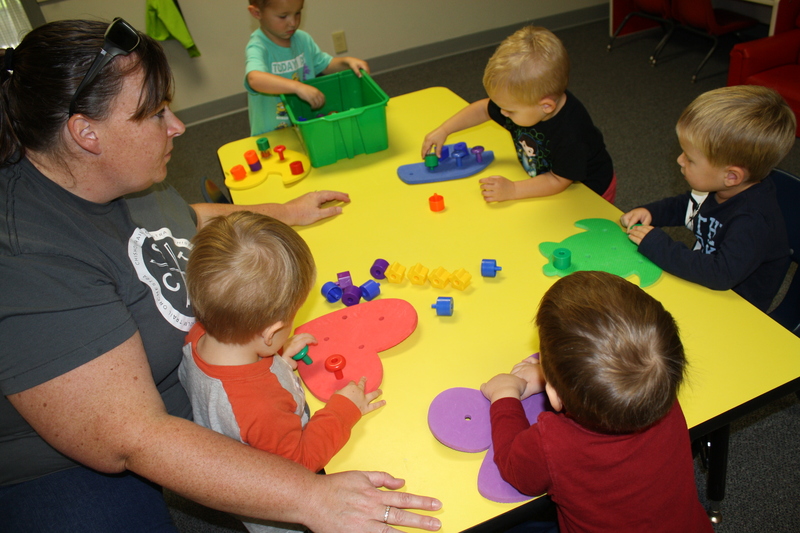 This is a group of boys playing with pegs and shapes with holes. This is also boys categorizing as they match colored pegs to their shape. This is eye-hand coordination. This is balance and counting as the stacks started going up. This is social skills as one child found a green one for his friend. Aww, what a sweet interaction. This is also confidence building. Ms. MaryBeth had asked a child to “help” her out of the chair. He did so with pride. This little one wanted to be helpful too. Look at her face. Look at her pride. It’s important learning to know you are capable and helpful. Children love the train table. 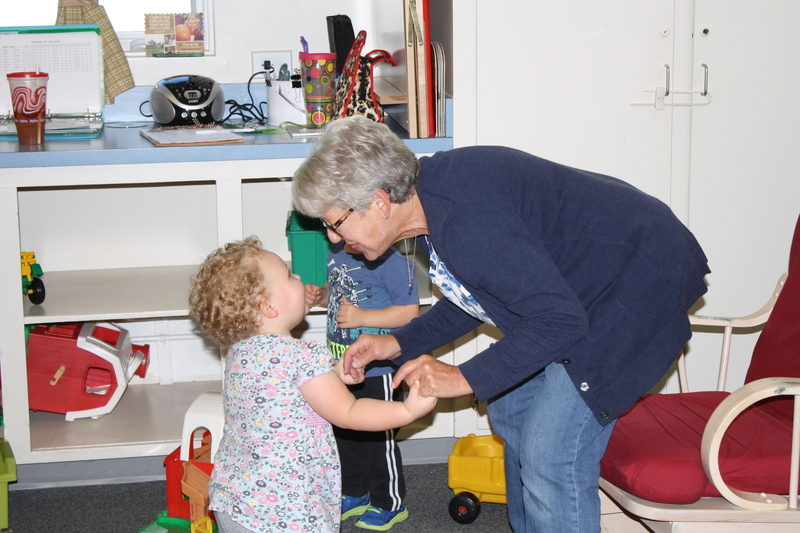 These are two of our youngest playing and learning about give and take with others. 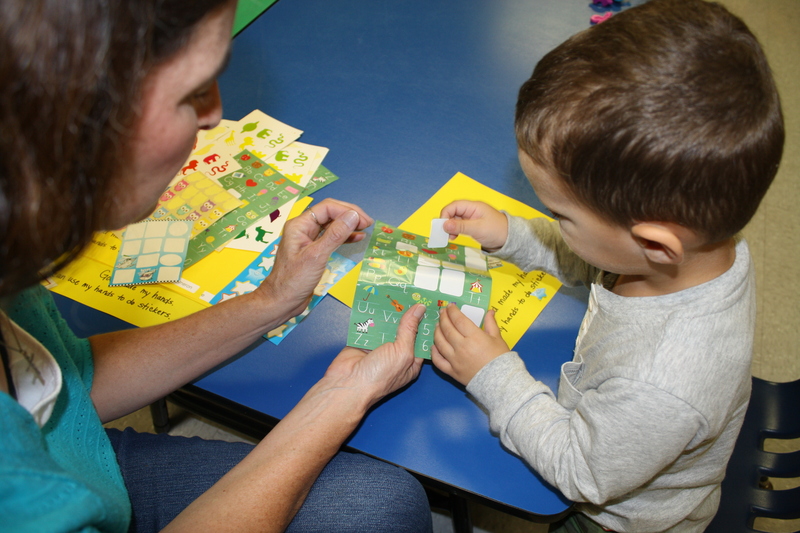 This is little eyes building eye-tracking skills that are so important for reading. This is children experimenting with gravity as the trains go faster down the hill. 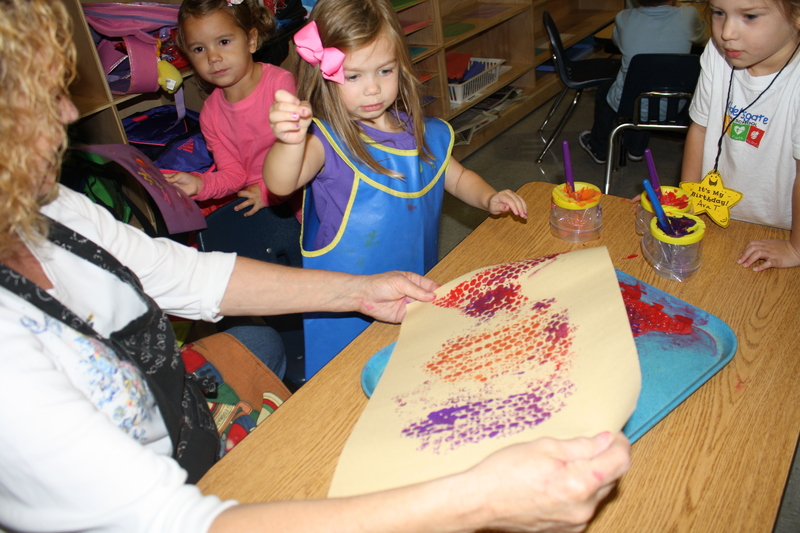 This is exploration with paint and art. This is also learning about a procedural process. Our world is full of processes such as filling your car with gas, baking a cake, and even building a car on an assembly line. This is also a child experiencing a new art technique called print making. Let’s make spiders. 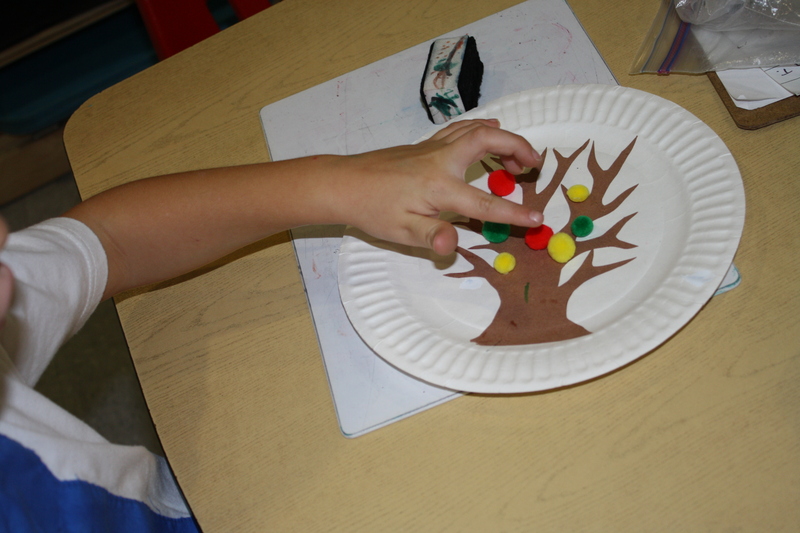 This is important fine motor strengthening. This is one to one connection as they match legs to dots. This is counting. This is biology as we talk and learn about spiders. 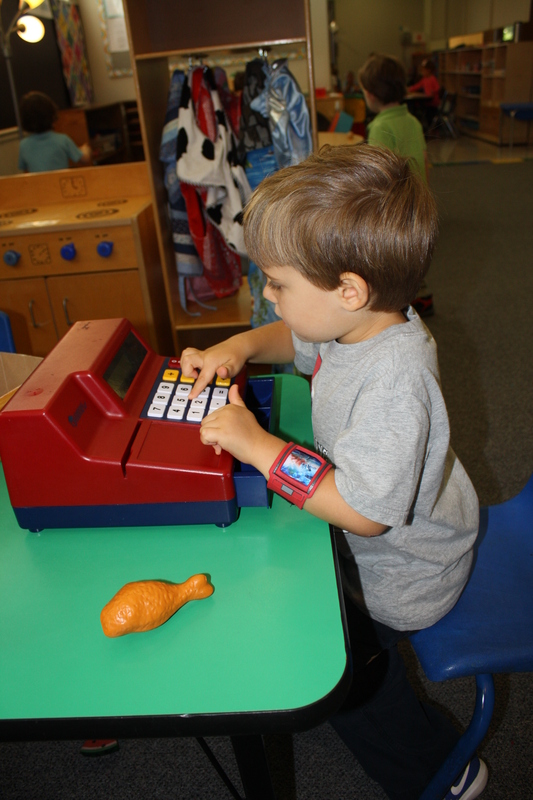 Who doesn’t love to play store with a cash register. This is also number recognition and exploration. This is playing with others and trying on roles we see in our community. “Who has the longest?” I loved seeing the pride of accomplishment on these boys faces. 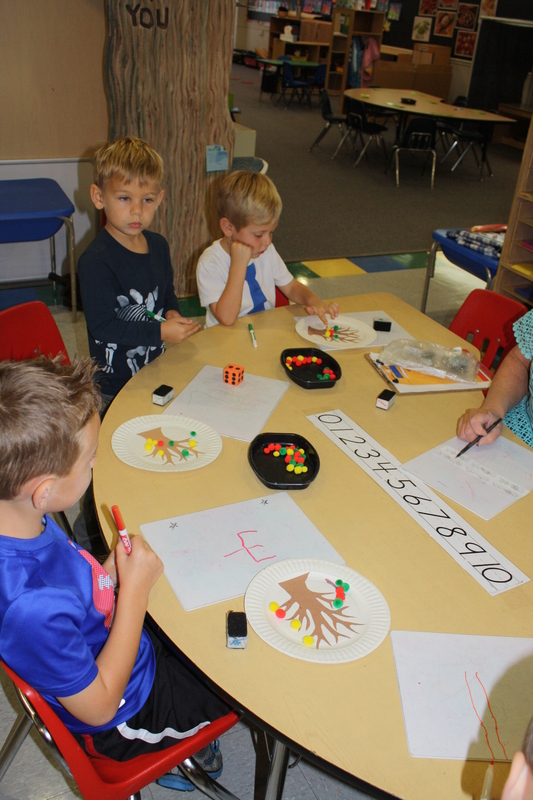 Counting and number awareness are the basis of math. This is also language development as we used the words, longer, shorter, bigger, littlest, etc. I also enjoyed watching the little guy observing the action. There is learning in observation too.